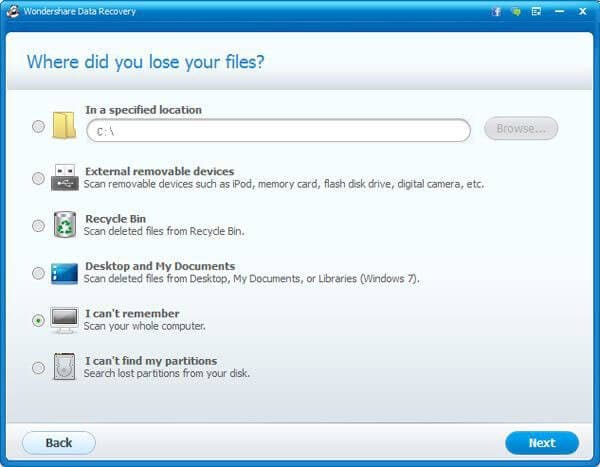 Usually, when you delete an email in an email program, it's moved to the deleted item folder, which allows you to get it back when you have a need, but if you emptied the deleted item folder, you can't recover a deleted email that way again. 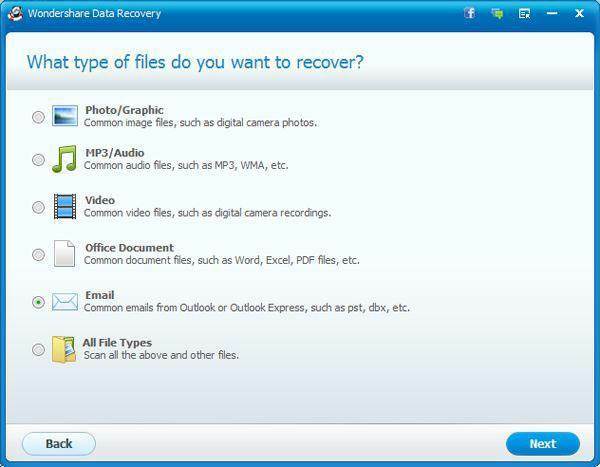 You need a data recovery which enables you to recover deleted email from Outlook, Outlook Express, Apple Mail, Mozilla EML, AOL Web Email, etc. A deleted email is not really erased forever. It's only marked as deleted and the email program won't display it. You can easily recover deleted email before it's overwrtitten. 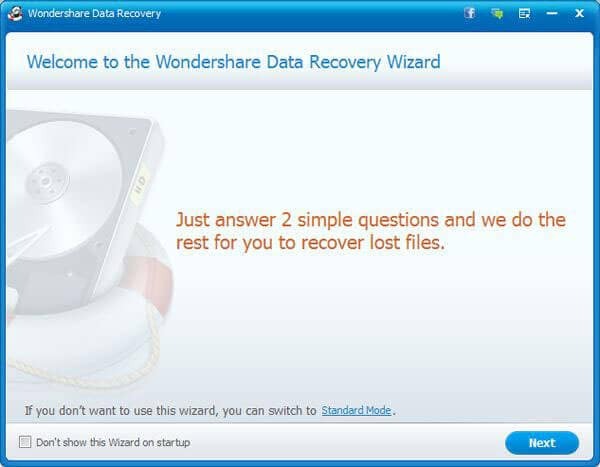 To find a reliable data recovery, my recommendation is Wondershare Data Recovery, or Wondershare Data Recovery for Mac. Both support the recovery of Outlook, AOL Web Email, Mozilla EML, Netscape Email Message, Generic Email Message, Apple Mail, and more. Select the right version that suits your computer. You can try the free trial version below to find your deleted email. Just take a try! Note: When finding the deleted email, you'd better save the scan result if you want to recover it later, for safety's sake. 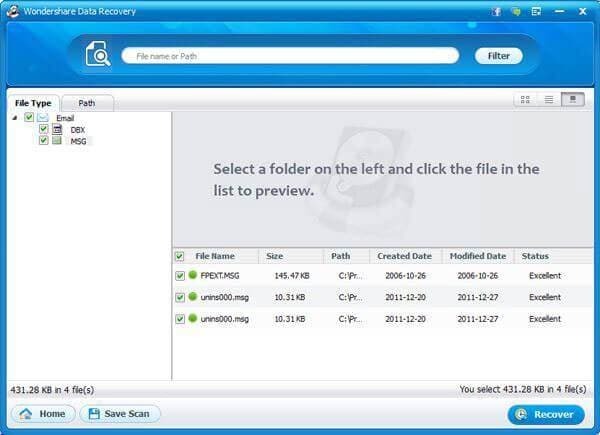 Next, let's try the prgram of Windows version step by step to recover deleted email. Install and run the program on your computer, and you'll get the interface as follow. Click "Next" to begin. Check "Email" here as the file type that you want to recover and go to "Next". Generally, the location is drive C. If you're not sure about it, you can check the whole computer as the location. You're supposed to enable deep scan. 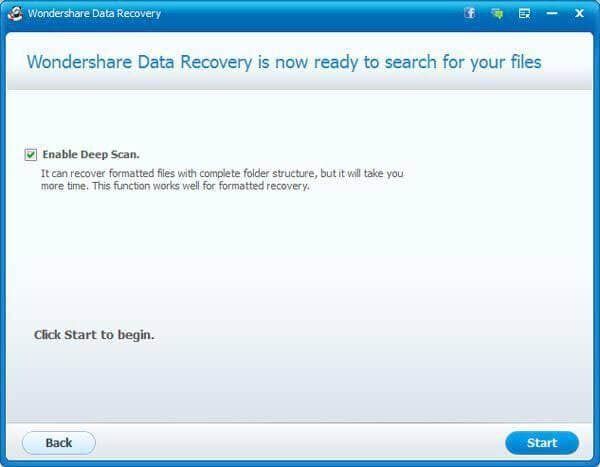 It can give you a better chance to recover your deleted email. Then start to scan for deleted email. After the scan, you are able to check the found email one by one. Then recover and save them. Now, you can import the recovered email to your email program. It's pretty easy. Take Outlook as an example. Open your Outlook, and select File > Import > Messages... from the menu in the Outlook (Express), and find the recovered files and then import. That's all. Try it yourself!